In 2019, 40% of associations and membership organisations are horizon searching for new systems to provide enhanced member value and growth. 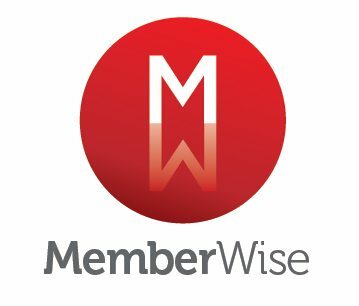 In response the MemberWise Network has arranged a series of free half-day seminars (in partnership with smartimpact) that provide membership and association professionals with best practice information and advice for procuring and selecting the right CRM system in a structured, robust and informed manner. However far you are along the procurement process our Select (CRM) Seminar Series attendance will quality assure and de-risk your organisation’s approach and enable you to network with fellow association and membership professionals also ‘on the journey’. This event is designed to help anyone involved in their organisation’s digital transformation from membership organisations with 6,000 members or more. saved £148,000 on their annual data requirements in 2018. Top tips and ideas for your project. What an integrated CRM and CMS system looks like. Have you got a burning question for smartimpact or any internal challenges around CRM or advanced CMS? They don’t just offer intelligent CRM systems. They also create cutting-edge websites and member portals. So, ask them anything and if you’d prefer they’d be more than happy to discuss it one-to-one with you after the session. A practical explanation of digital projects in practice, their pitfalls and the positives. Opportunity to network with like minded membership professionals. Andrew has been working for the Bar Council for over 5 years. Previous to this, he has worked in Project Management for organisations such as the Royal British Legion and organisations in Auckland, New Zealand. Since 2007, Ahmed has established smartimpact as a leading provider of Dynamics CRM solutions. Combining his understanding of business & membership needs with technical expertise to drive innovation and creativity into member-focused organisations. Going beyond just a simple membership database to a world of intelligent systems. He has ensured smartimpact has high quality, robust, yet flexible, software & a team of experts who support membership organisations through every part of the implementation process. This has led to over ten years of growth and an excellent reputation focussed entirely on the membership & NFP sector.